When facing the toughest adolescent behaviors, parents need three things: desire, information, and emotional support. 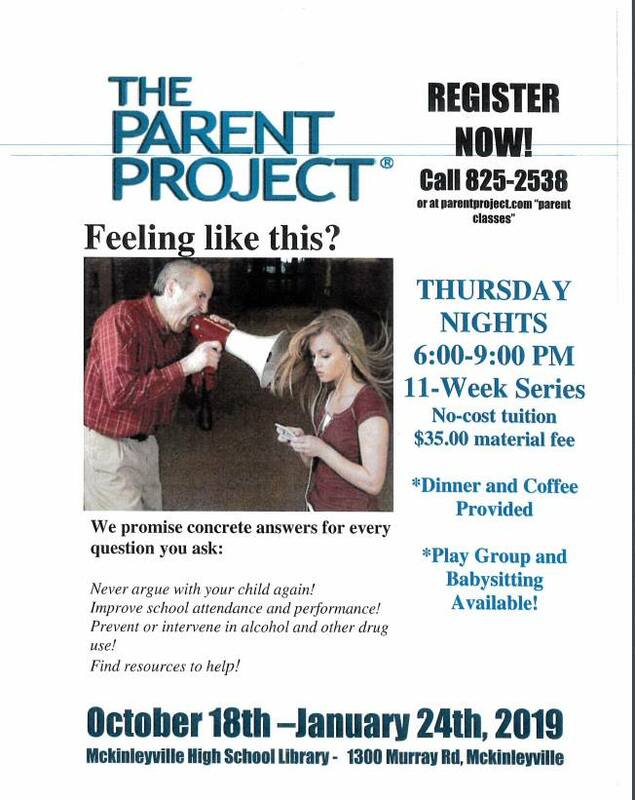 The Parent Project® provides all three elements in an 11-week workshop that will build a foundation your child cannot shake! This class is designed for parents with children ages 10 and over. Classes are held in the Fall and Spring in the evenings. Locations include Arcata, Eureka, McKinleyville, and Fortuna. Classes range from two to three hours in length. Parent Project® facilitators are certified through a 40-hour training by Parent Project® Inc. Weeks 1-7: Step-by-step, concrete skills for preventing and interrupting risky teen behavior. Learn why teens think the way they do. Develop a tailored plan for your family. Weeks 7-11: Fine-tune and implement your intervention plan and continue to develop effective tools to strengthen your relationship with your child. Have questions about your teen? Need advice? Ask us now!